As I’m in the process of changing career, last week I had some exams to be an English teacher. By association: teaching, school, etc, this made me crave a peanut butter and jelly (jam) sandwich. 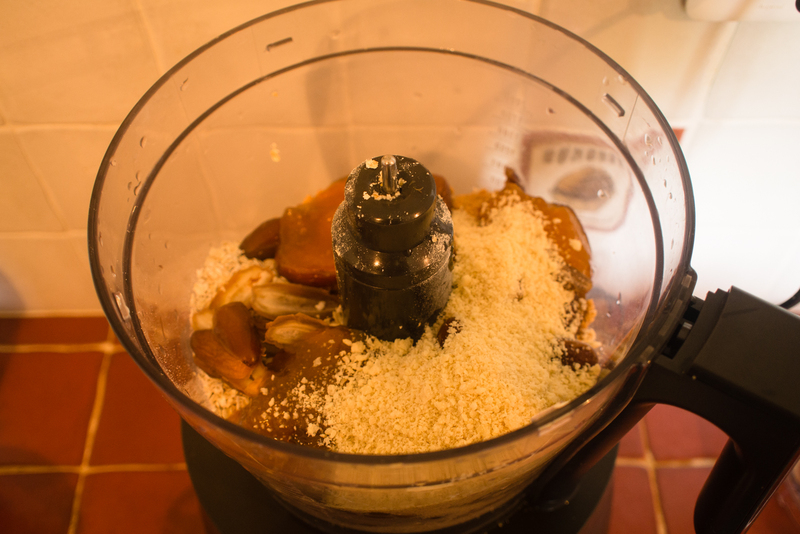 So to turn that craving into a healthy snack I decided to make an energy bar which will bring me the same taste. 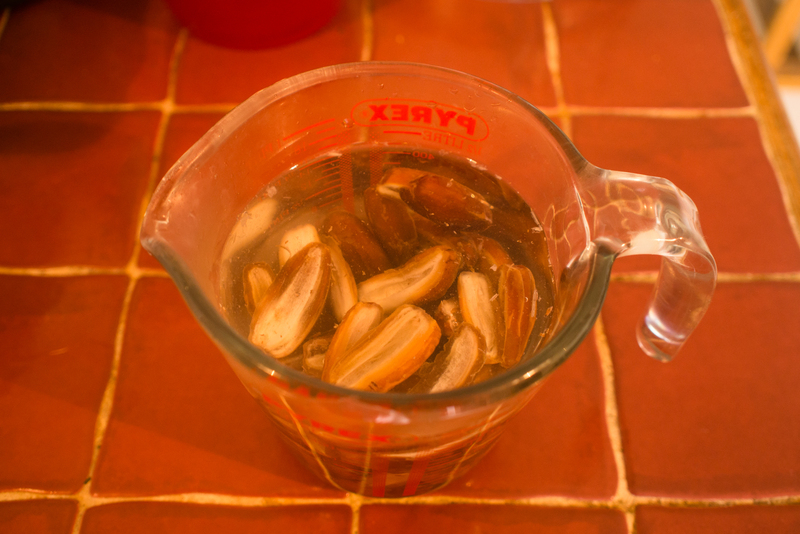 Soak the dates in warm water for 15 minutes, and drain. 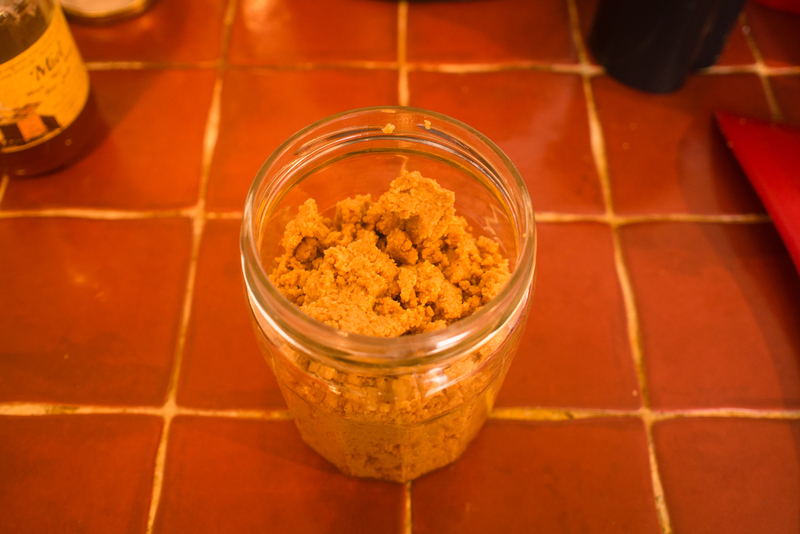 Place dates, almond meal, jam, peanut butter, and oatmeal in a food processor and blend until combined well. Slowly add oil while it is still mixing. 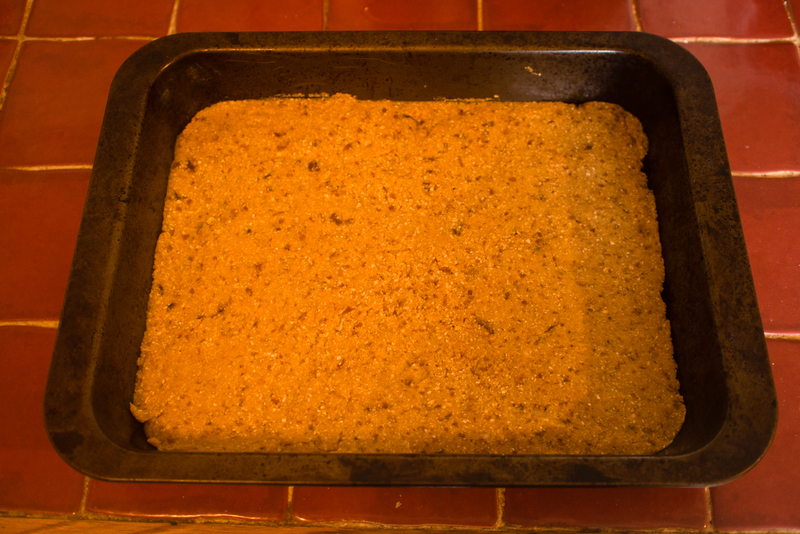 Scoop mixture into a square baking pan, and firmly press down to make an even layer. 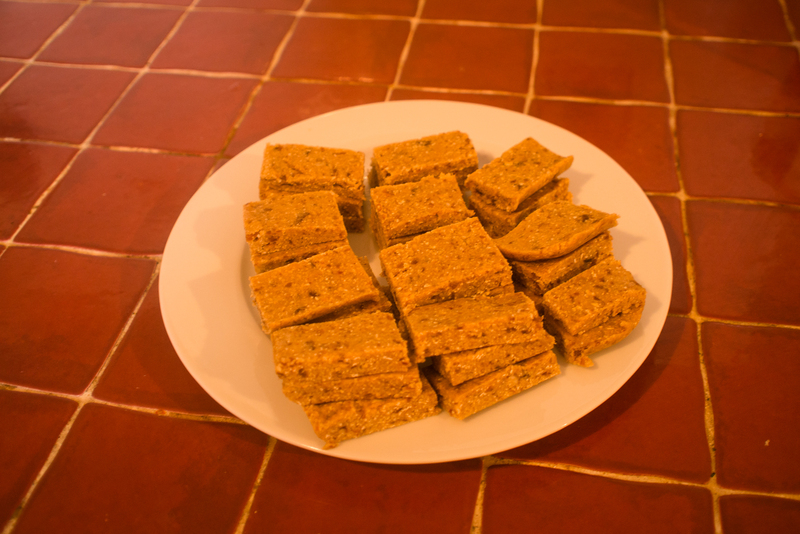 Place in the freezer for 30 minutes to set, then cut into 8 rectangle bars.